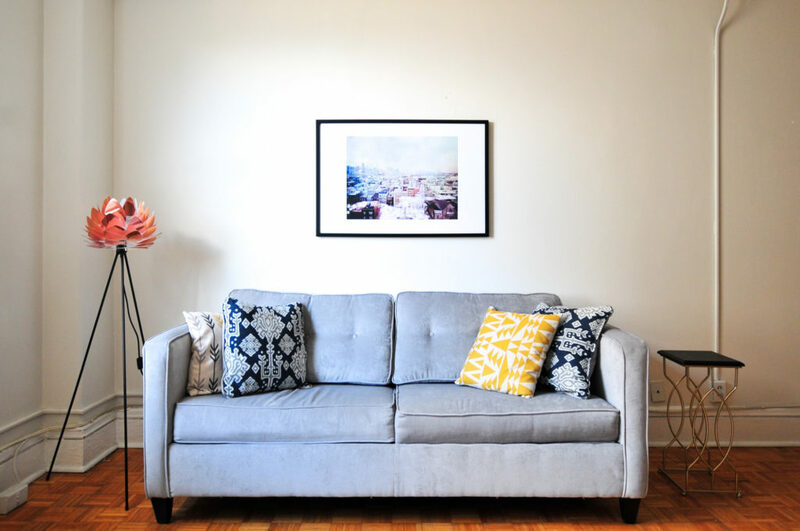 Adding decorative pillows to your couch and chairs can be a great way to add a bit of color without spending too much. You can also replace your throw blankets and wall art with something more colorful! Set your fruit out on your countertop in a nice bowl to bring Spring into the kitchen. Rugs can also be a great touch throughout your home! Garden Mum was rated by NASA as the top air-purifying plant! It removes ammonia, benzene, formaldehyde, and xylene from indoor air! Spider Plant came in second, and they are one of the easiest houseplants to grow! They remove formaldehyde and xylene, and love lots of bright, indirect sunlight. Dracaena is the 3rd best plant to clean the air in your apartment, and there are over 40 different kinds of this plant, so you’ll be sure to find one that’s perfect for your home! They remove pollutants such as benzene, formaldehyde, trichloroethylene, and xylene, but pet lovers beware! These plants are toxic to both cats and dogs when eaten. You get used to the way your furniture is arranged and it can get boring! Rearrange your living room and bedroom for Spring and add new candles or scents to freshen it up! This is also a great way to declutter your home while having fun.